winter and summer are the extreme of climate in this world. Both happens in this world. This keeps the world in balance. This lack of balance in this three or two, create disorder in nature. Again this disorder is being the part of functions in order to meet perfect balance. Philosophies are always many steps ahead than science. This we can understand through the long run of history . I probably shouldn't have used the " " emoticon as it suggested I was puzzled. I think Roberta meant to say contraction for cold, and expansion or dispersion for hot. A friend who suffered from severe paranoid schizophrenia post time spent in the army in East Timor had the most stunning water hands with beautifully delicate skin, like silk, he was from the Solomon Islands and had suffered as a child at the hands of the missionaries. The distinctive feature, apart from the ET Come Home hand was a very short head line ending under Saturn Jupiter and 3 beautifully formed, distinct mystical crosses across his hand. His father had been a traditional shaman before being converted and he had the added problem of respecting his traditional beliefs. I think a paranoid schizophrenic born from their injustices in life is a very different category to a psychopath. Although both would have had poor childhood/parenting. schzophrenia is the psychiatric condition where peoples experience lots of visual or auditory delusion/hallucination. I guess, pychopaths are emotionless peoples. In contrast, From various examples, sadists appeared to lead healthy and happy life. but, they plan and torture the prey secretly for their pleasure. The cause for all this problem may due to the bad childhood periods. But individual expression to the situation varies depends on their disposition. Yes there is a great deal of difference between the psychopath and the schizophrenic, but both can be attributed to an underlying illness, either environmental or pathological. When the friend I first mentioned, as are others, who I know are not in an active phase they are wonderful sensitive people and yes, they often share sad and painful experiences when children. But my description of the hand for Charles is for shared observation, not a judgement, and reflects that maybe certain hand types may indicate increased vulnerability to this treament. The psychopath is really only 'knowable' in my personal experience by those close to him or her. This is because they are often quite successful to the outward eye or quite reclusive. But this now is possibly caused through a thinning in the paralimbic system which regulate emotional capacity and responses, particularly the insula... ref: KENT A. Kiehl- Scientific American Mind Sep/Oct 2010. It would be interesting to look at the heart line or head line as I often wonder if these represent a sine curve so to speak of these ratios? Floating irises represent a difficult life period between ages 34 and 39, it also can predict death as seen in Princess Di's eyes (Elvis had them as well). When irises sink too low it betokes a cruel and perverse nature or a violent death, which is rarely seen. Quite often negative traits are seen on extraordinary people because they've worked their whole life to get past their hurdles. I couldn't imagine avoiding someone because they may die young, or have emotional problems. I would be interested to see Princess Di's hands or Elvis's.. anyone? Schizophrenic indications in the hand are found in many people. It's the combination of many traits in the finger prints, all major lines, and the presence of all minor line or none at all. Considering Schizophrenia is a mental illness that doesn't have one single diagnosing factor I find it interesting that many people perceived as normal have indications of it within their hands. 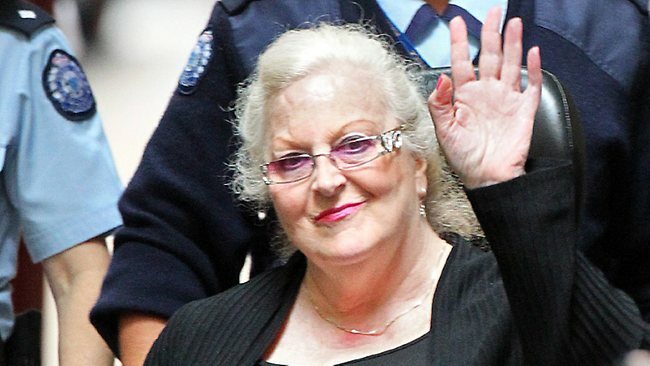 A recently jailed crime matriach here in Adelaide, found guilty of murder, who looked fairly benign if judging by appearance was betrayed when you looked at her hand. * Crooked as opposed to curved little finger- I feel that there is a dramatic difference between a gently curved fing- often associated with the healing arts, the indented finger, more sales focus and the crooked finger. A profile for Martjin and Patti! PS. In general, I would prefer to avoid the suggestion that bended fingers (in isolation from other hand features) can be associated with psychopathology - because such characteristics can be found in the hands of at least about 10% (depending on the criteria being used, maybe even above 50%) of all people. Requests for reprints should be addressed to Dr. Robert D. Hare. Department of Psychology. University of British Columbia. Vancouver, British Columbia, Canada V6T 1Y7. Hand gestures were coded from videotaped interviews of right-handed male prison inmates divided into high (H), medium (M), and low (L) psychopathy groups on the basis of the Psychopathy Checklist (Hare, 1980). There was no difference among groups in the number of hand gestures not related to language or in iconic gestures, that is, gestures that directly reflect the semantic content of speech. Compared with the other groups, Group H used significantly more beats, defined as language-related gestures that do not reflect the semantic content of speech, but that may serve to divide the discourse into discrete functional units (McNeill, 1985). It is possible that the central language processes of psychopaths are organized into relatively small conceptual units. The results are consistent with other research in suggesting the psychopaths differ from normal individuals in the processing and use of language." She can be related to a person who is having an antisocial personality disorder. Psychopath was once widely used but has now been superseded by sociopath. Abnormal features denotes abnormal behavior. She is capricious, whimsical, petulant, shameless, and unkind and her acts can be termed as irrational. Such a person cannot be called a normal person. The first phalange of middle finger (Balance Wheel) is leaning denoting ‘hidden sorrow’, “harassments and burden”. Saturn is sincere and serious, does justice and tries to balances the excesses of Jupiter (Index finger) and Apollo (Ring finger). Her heart is full of past deep wounds that she cannot forgive or forget in her life. Most probably it indicates emotional loss not less than death, deep loss of reputation or betrayal of promise or a deep insult. It may be genetic. The pains and wounds (mental turmoil) are so intense and profound that taking revenge is essential whatever be the consequences. No person on this universe can stop her doing so. She is daughter of Jupiter so she was destined to lead a life full of sorrows in every relation. Besides that the long powerful pointer is leading outside denoting extreme love of independence and power. She cannot have good name as the bent little finger denotes ‘outright chicanery' to say nothing about simple dishonesty. We cannot say whether these are genetic or acquired mentality. This is like to reply the question that who came first egg or hen. Environment is greater than man or woman. Besides the condition of clinodactyly, I see bent fingers as relating to a person bending this way and that, adjusting to the life they've created or found themselves in. Smooth fingers show a more easily flowing life. In the sense of 'don't judge until you've walked in my shoes', I feel compassion for her. How heartbreaking to have both sons murdered as well as her husband. She probably didn't have the power to change the family and who knows what she knew when she married the man she married so she bent herself around her situation and tried to make the best of it in her own style. We discussed the loyalty line, that I refer to as "blood is thicker than water" and that would also come into play in her support of the family she created and married in to. Her high set and strong index finger (and middle finger too) seem to over compensate for the low set skinny little finger. The bent middle finger might relate to her bending her own values to adjust to a life style financed by crime. Her face is interesting to study as well.. each side quite different than the other. In addition his lips are very thin and there and undulating like a snake and the eyes match with sharp lines. Interesting observation of thin upper lips , i was actually thinking about for some reason what i have heard about people who have thin upper lips is that they hide their feelings and not share with others (they do not easily express their feeling and views) hat this lady also has thin upper lips. also Francis Galton had thin upper lips. Iam not sure how far this interpretation is correct. Hi Anand, I don't know Francis Galton personally but you can often find high profile people who have thin lips, its their way of hiding emotions from others and along the way also from themselves. Generally it is a good sign that lips do not get too thin with the years, it shows an earthy quality of sympathy and caring for others. http://www.chienergy.co.uk/lips.htm You can read too. According to Chinese face reading the lips are associated with the earth element which generally depletes with age. Improving upon our earthiness, relationship, family and general groundedness, will reverse this trend. Ted Bundy's head line appears to be far above his life line, and we all hope that it is not his mars line. This leads me to the question whether hand features definitely can point to unfriendly character traits, or just can give an indication of the probability that something is wrong in a person. yogiman wrote: Ted Bundy's head line appears to be far above his life line, and we all hope that it is not his mars line. This leads me to the question whether hand features definitely can point to unfriendly character traits, or just can give an indication of the probability that something is wrong in a person. Yes, your question has a valid ground. Even though most hand reading books do suggest that the hand lines can describe the character in detail, in my perception this is fairly unrealistic... as my experience indicates that it takes 'multiple perspectives' (including for example: hand shape, finger morphology, etc.) of the hand to make any reliable assessment. "Modern hand reading starts with a quest for hand sign combinations; isolated hand signs represent hardly any significance." - hands just show you a susceptibility to one trait or the other, but there exists something like mind over matter. - the hands can give a pretty exact idea of what is going on, but the (combined) features are not supposed to be buzzed around because it will lead to prejudice and stigmatism, and will give palmistry a bad name.